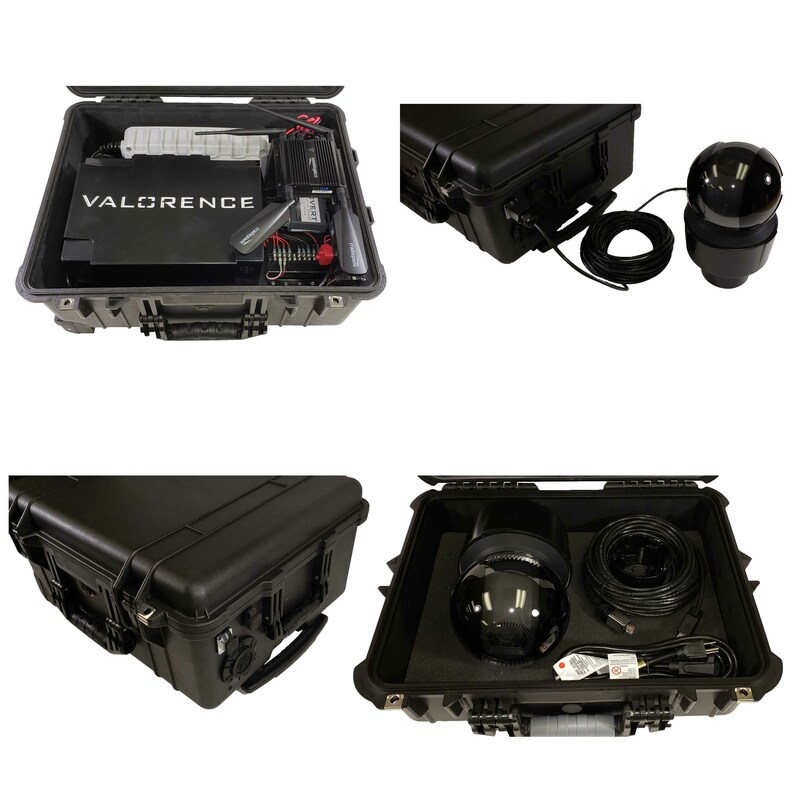 The camera is connected via 25 foot, or 50 foot weatherproof Ethernet cable that allows for the camera to be deployed a safe distance from the case. Axis Q6125 PTZ camera gives full 1080p resolution with 30x optical zoom. Powered using a lightweight, 100 Ah LiFePo 12v Battery, charged by the internal battery charger, with a recharge time of approximately 4 hours. The advantages of using a LiFePo battery are the lightweight, fast charging time and much longer life of approximately 10 years.